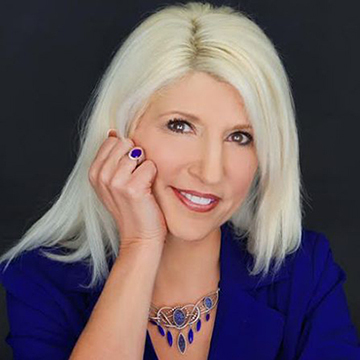 Shellie Hunt is a Global Entrepreneur, Business Strategist, International Motivational Speaker, Trauma Expert, Author of the “Success is by Design” Series and TV executive producer. Shellie is Founder and CEO of the Women of Global Change, Success is by Design, ReMake MY Life LLC, and other multiple companies. Shellie is honored to have received the Lifetime Achievement Award from the White House, and the President’s Lifetime Achievement Award from Barrack Obama. Shellie has been recognized by several branches of the US Government for her dedication, services, and work to include multiple awards in areas of Business Leadership, Mentorship, and Entrepreneurship. These accolades include the U.S. Congress Business Leader Award, Business Leadership Award from the California State Senate, and the California Merit Award. The California State Board of Equalization has presented Shellie with an Award in Business and she earned from the California Legislature Assembly the Local Businesswoman Award. Shellie has shared the stage with some of the top human potential and business speakers in the world and is a lead mentor in the Billionaire Adventure Club. She has appeared on national talk and radio shows with audiences in the millions and has been mentioned in Forbes.com. Her appearances are numerous from CBS, ABC, USA Today, CBS MoneyWatch, Beyond the Dow, HLN, FOX and many others. How you address your mornings is how you’ll get in the habit of addressing your day. Look at the bigger picture don’t get stuck in the small details or mishaps. Successful people look at what they did wrong, take a mental note and Move On and they pay more time paying attention to what they do right and what works. My definition of women’s empowerment is WOMEN leading as authentic heart centered leaders operating from the homeless of camaraderie for positive progress and change. What motivated me to get involved in being inspirational for change I guess is a calling and the need in the world for leaders. Especially women leaders right now. The world is in need and the more I saw of the world the more I could not ignore the need. As women we stand on the front lines with the strength of a lion but we haul the heart of humanity in our hands and that is what is truly needed on the face of our planet right now. Some of the key characteristics of an empowered person are; understanding the connectedness of the whole, self-confidence yet humbleness, a positive mental attitude, responsibility of self, and ability to flow with Grace amidst change while recognizing the blessings of all that is going on. 4.What can leaders or individuals interested in advocacy due to facilitate empowerment? What leaders & individuals can do to facilitate and advocate for empowerment is to be active in the community and to truly connect with the people around you. Give those around you especially other women a reputation to live up to. First step is gratitude. How you address your mornings is how you’ll get in the habit of addressing your day. Look at the bigger picture don’t get stuck in the small details or mishaps. Successful people look at what they did wrong, take a mental note and Move On and they pay more time paying attention to what they do right and what works. Acknowledge your wins no matter how small.